The plants and blooms are pretty. And it awesome that they attract the beautiful Rainbow Lorikeets. Great images. Happy Monday, enjoy your new week! 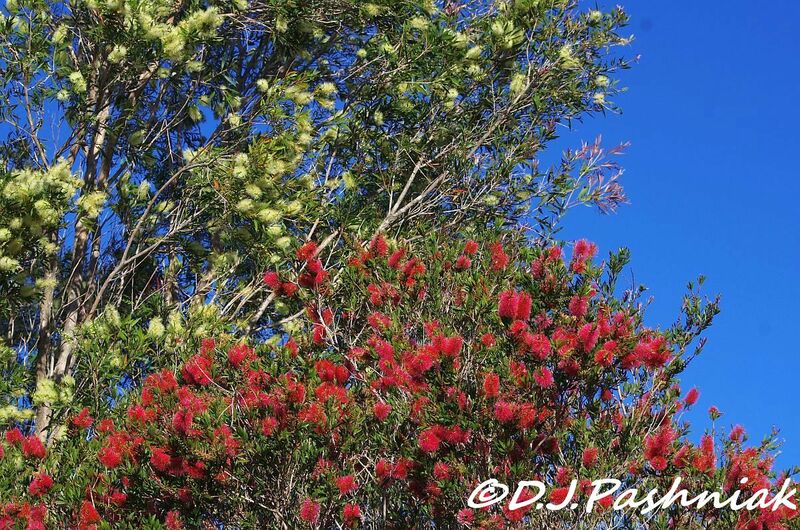 Oh, such gorgeous, colorful captures for the day, Mick!! I love the bird and flowers are delightful!! Thanks so much for sharing the beauty!! Hope you have a wonderful week!! Enjoy!! Gorgeous and wonderful nature captures ~ lovely florals and gorgeous bird! Lovely plants and such colourfully charming birds! A very lovely tree/plant. 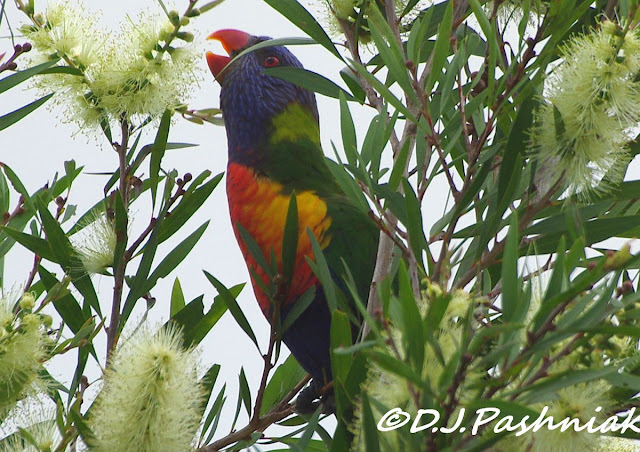 It's hard to imagine those Rainbow Lorikeets being able to blend in anywhere with such colourful plumage. 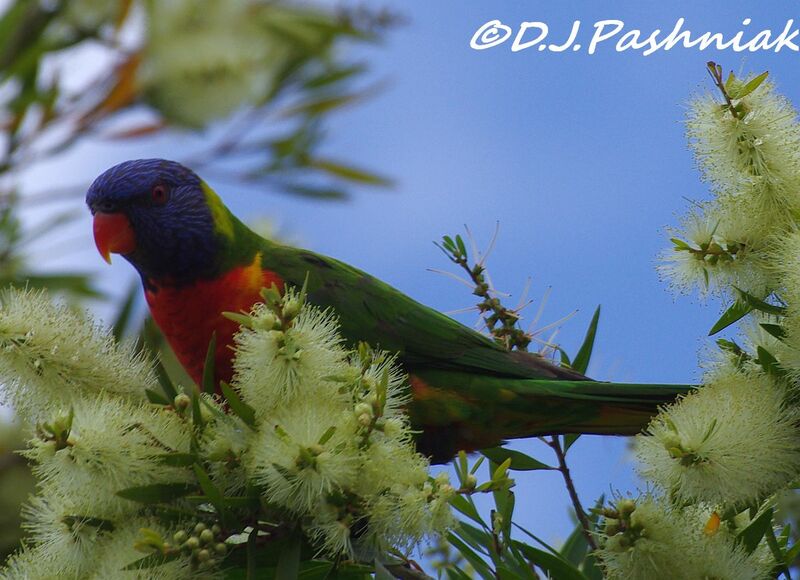 The lorikeets are just gorgeous. Gorgeous photos! 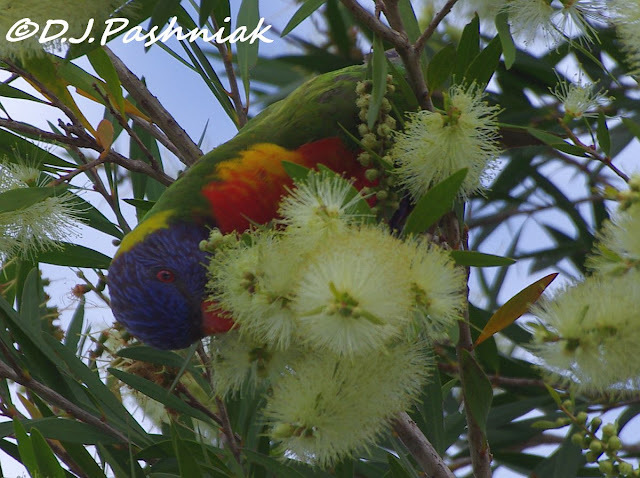 I love both the bushes and the lorikeets. I like the look of the blossoms and it looks like the Rainbow Lorikeets do too! Yes! 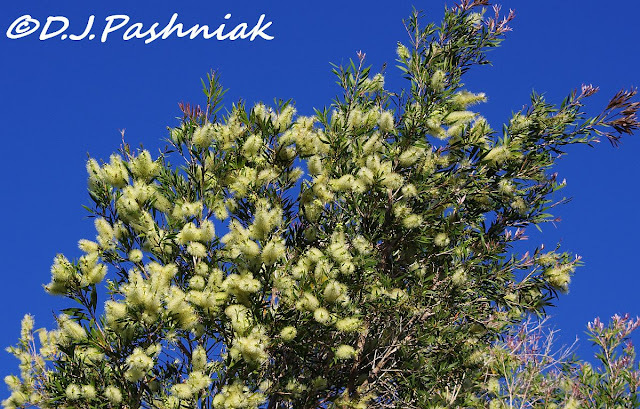 callistemons are perfect hidey places for birds of all varieties and today I'm about to have mine cut back to remove dead wood before our long hot summer - I do this with a heavy heart because there is a family of young new holland honey-eaters who call it their home. These are great photos Mick. How wonderful to have such visitors to the garden. In utter awe as always ... Of both your green thumb and beautiful plants and of your amazing backyard birds! Have to admit to a case of envy! 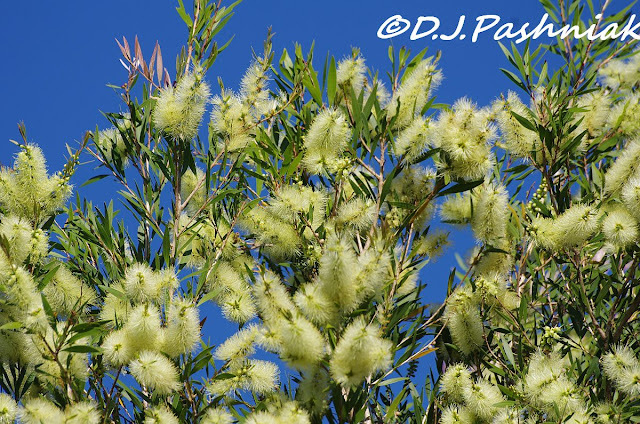 Nice post - some of these native bushes can look a but scruffy at times - but when they are full of parrots, who cares! Look who is hiding in the fuzz. What a beauty.